Unforgiveness results in many of the internal conflicts, relationship issues, grudges, and job-related stress that plague our law enforcement and public safety agencies. Join me for a thought experiment that shows the power of forgiveness. Level 1 Forgiveness is hard enough. But can you make it to Level 2? Or would you rather keep drinking the “cup of bitterness?” And don’t confuse forgiveness with pardon. Let me know what you think. I recently received this endorsement from a sergeant working for a Sheriff’s Office in Wisconsin. I think it’s the best endorsement Police Dynamics has ever received. 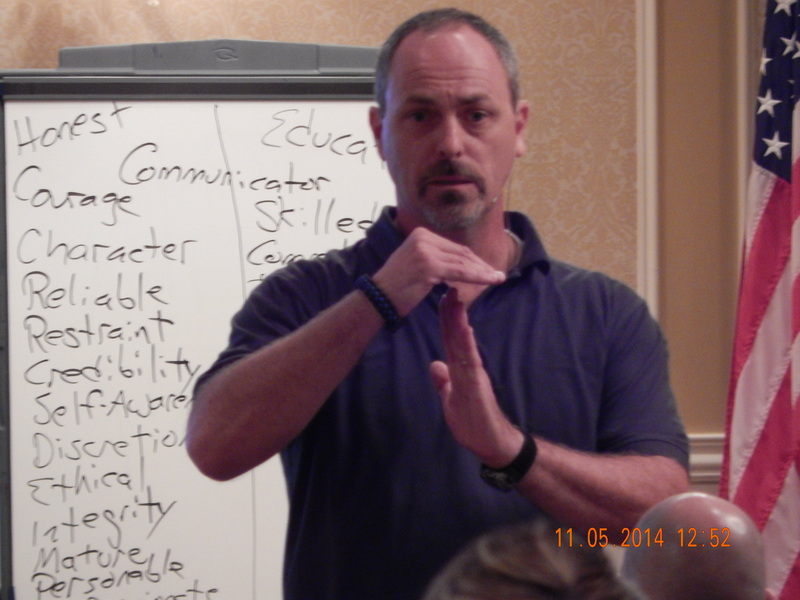 “I have attended two Leadership seminars in which Ray Nash was the primary speaker. The first time I heard him speak was at the Badger Sheriff’s Association Conference. After that first event, I immediately recognized that this guy gets it. Ray is a cop’s cop and he understands the cop mindset. As an instructor myself, I can honestly tell you that Ray knows his stuff and he is a very “dynamic” instructor. I kind of laugh when I say that word, because I remember Ray defining the word “dynamic” for us in class and giving us the Latin breakdown (What a geek! ….just kidding of course). 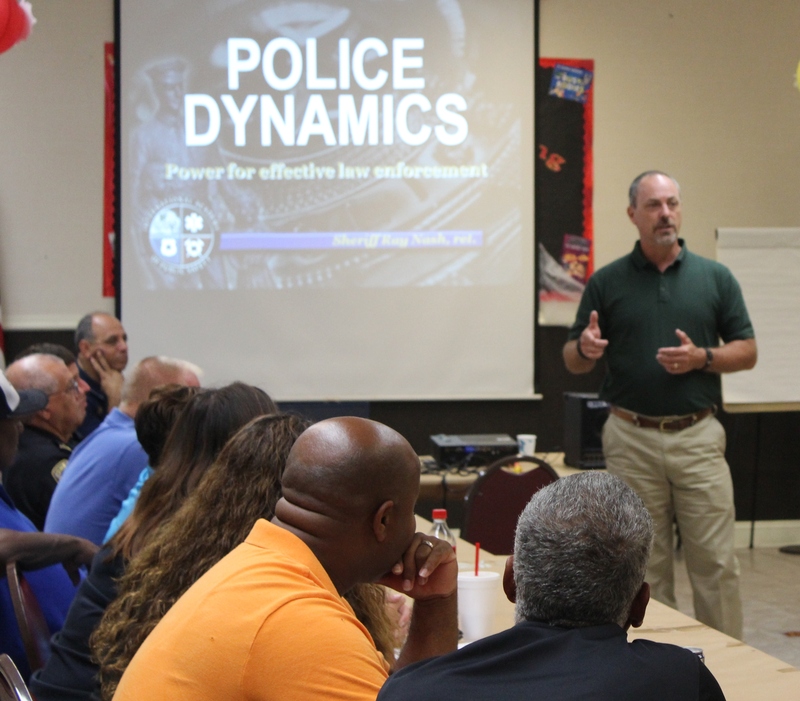 In a nutshell, the Police Dynamics program is a character-based approach to dealing with the challenges facing law enforcement officers and their agencies. Over 10,000 law enforcement officers and government leaders from around the world have benefited from the training. In light of recent events and the new challenges being presented to our law enforcement officers, the principles of Police Dynamics are needed now more than ever. I am putting together my training calendar for 2016-2017. So if you or your agency would like to host a Police Dynamics seminar, please contact me right away and I will send you a training proposal. Seasoned law enforcement leaders recognize that there is an intricate link between officer morale and performance. Consequently, the morale of any law enforcement agency impacts the crime rate. Since founding the Police Dynamics Institute in 1998, I have often been asked for a simple description of the training, and found it very difficult to come up with one. Essentially, a dynamic is a principle. And the best I can do is compare the character-based principles of Police Dynamics to some of the physical principles of the universe. For example, the Law of Gravity impacts our relationships with the things that are around us. And a physical principle like gravity can’t be violated like you can violate a man-made law. And the Law of Gravity could care less whether you believe in it or not. It’s all about cause and effect. It’s the same reason I wear a seatbelt in my car. I know that if I am in a collision, the Law of Linear Motion, Newton’s First Law, will cause my body to continue going forward, at whatever speed I happen to be traveling. Since that would not be a pleasurable experience, I choose to buckle up to bring my body into harmony with that principle. The principles of Police Dynamics are similar, but they differ on two important points. They do not deal with our relationships with things, but our relationships with people. And the causes and effects attached to these principles are much more difficult to discern. So we must dig deep and go below the surface to enhance our understanding. Then we can make good choices to bring our lives, our agencies, and our communities into harmony with these principles. In this short video recorded at a recent Police Dynamics conference hosted by the Brownsburg, IN Police Department, I emphasize that fact that failure to clearly articulate a standard is a leadership failure. Then explore the definition of the character-based standard of Obedience. Quickly fulfilling the expectations of my authorities while guarding my attitude. The first part of E5 Leadership is to Establish the Standard. Standards in the law enforcement profession tend to be performance, behavior, or achievement-based standards. But Credible Leadership requires that we establish character-based standards. The second step in E5 Leadership is to Embrace the Standard. This has to do with communicating the standard at every level. The character-based standard should be reinforced through selection, training, officer recognition, promotion, discipline, terminations, critical incident debriefings and every other aspect you can think of. 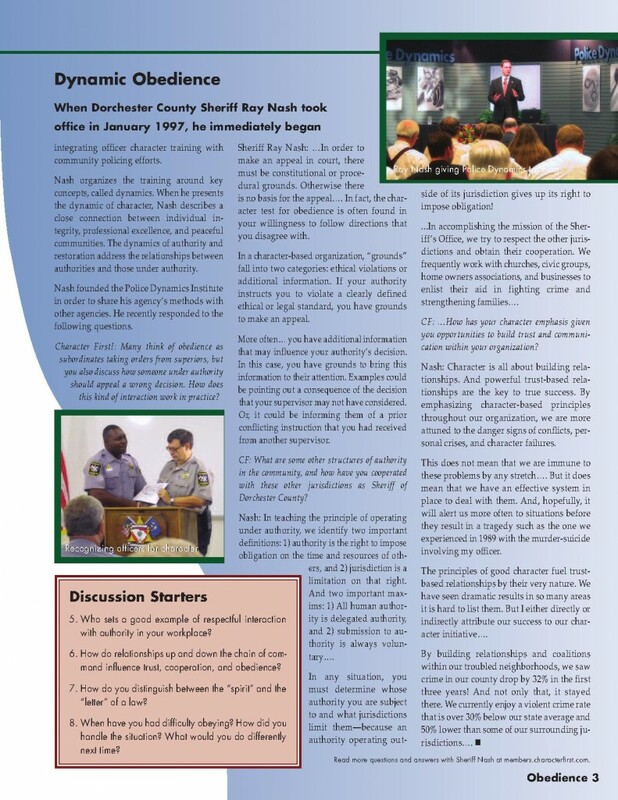 The Plaquemines Parish Sheriff’s Office, under the leadership of Sheriff Lonnie Greco, is setting a high standard in support of ethical leadership. One of the first law enforcement agencies in the State of Louisiana to adopt the Sheriff’s Institute for Credible Leadership Development, PPSO takes its commitment that “Every Officer Is a Leader” very seriously. I recently had the opportunity to provide Police Dynamics training to first-line supervisors and spend some quality time with Sheriff Greco. 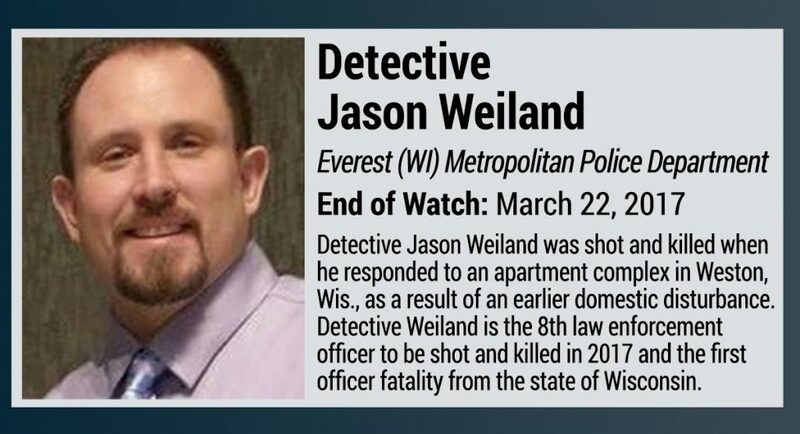 He is to be commended for his commitment to promoting good character and ethical leadership throughout his organization and for setting a good example for other law enforcement agencies to follow. Interestingly, the venue for the training was a local library which featured a “superhero” theme for its summer reading program as you can see from the posters on the walls. I was grateful for the opportunity to interact with some REAL superheroes, the Plaquemines Parish Sheriff’s Deputies…! In conjunction with the International Academy of Public Safety and the National Sheriff’s Association, we are embarking on a new leadership development program called E5 Leadership. This training video was filmed at the George Washington House on the island of Barbados. When you boil down most of the leadership principles that we teach through Police Dynamics or the Institute for Credible Leadership Development, they center around the Standards of an organization. We often think of a standard as a flag or banner being carried into battle. When the standard-bearer goes down, another soldier will immediately pick up the flag. Why? The flag itself is just a piece of material. It’s not what the flag IS that is so meaningful. But what the flag REPRESENTS that makes it so important. The same is true of our badge, our patch, our uniform and the other symbols attached to the law enforcement profession.